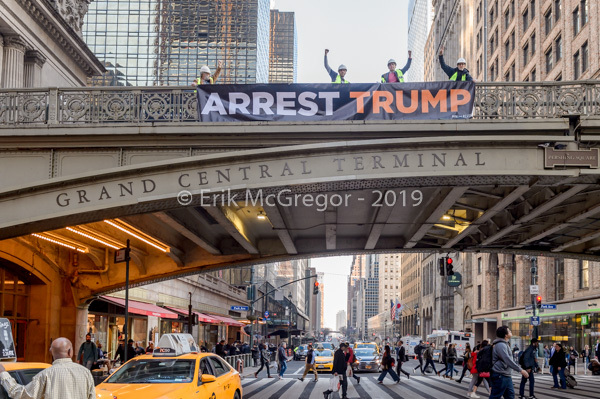 New York, NY – In protest of Trump’s State of the Union speech, activists spread “Arrest Trump” message across New York City. 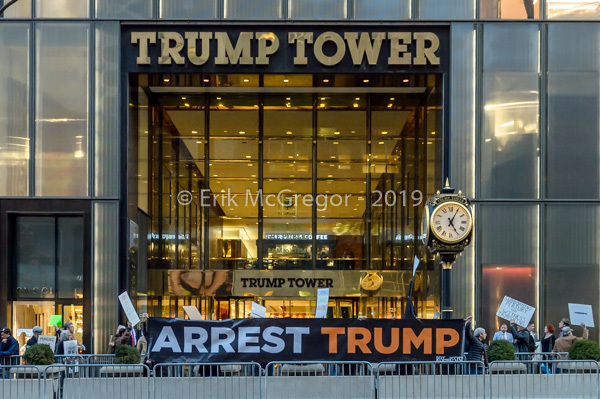 On February 5, 2019, activist groups calling for the arrest of the President held a demonstration outside Trump Tower in Manhattan. 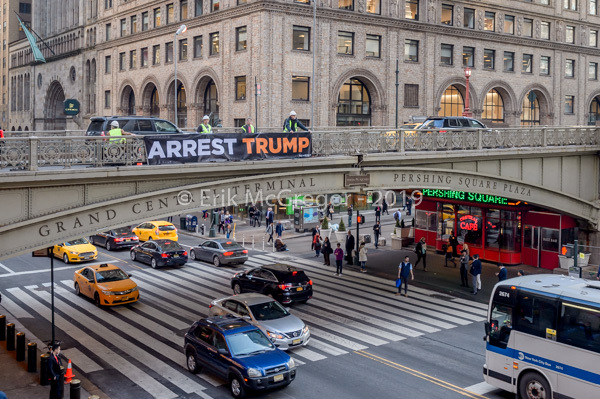 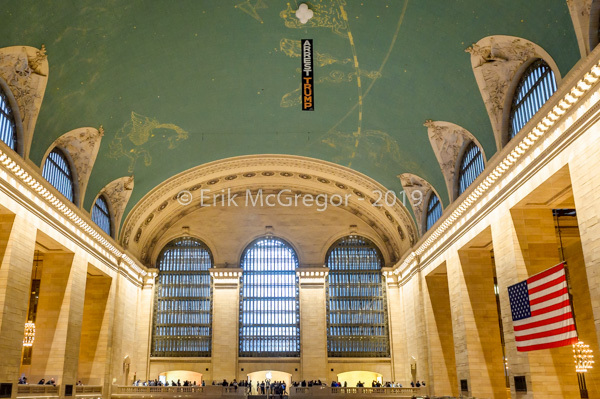 Activists displayed ‘ARREST TRUMP’ banners inside and outside of Grand Central Terminal this afternoon in a lead-up to the Trump Tower protest. 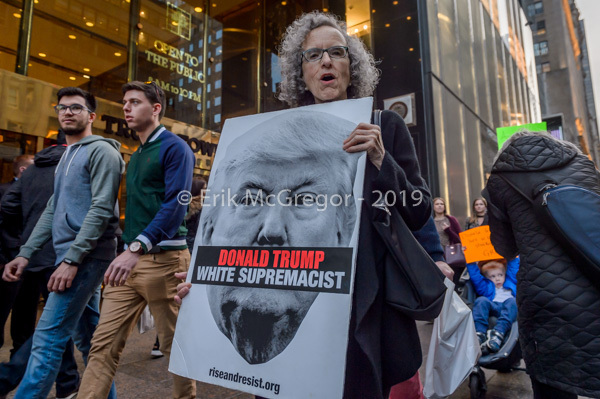 With signs and chants denouncing Trump’s crimes since he took office, New York City activists organized a demonstration outside Trump Tower on the day Trump is scheduled to deliver his delayed State of the Union address. 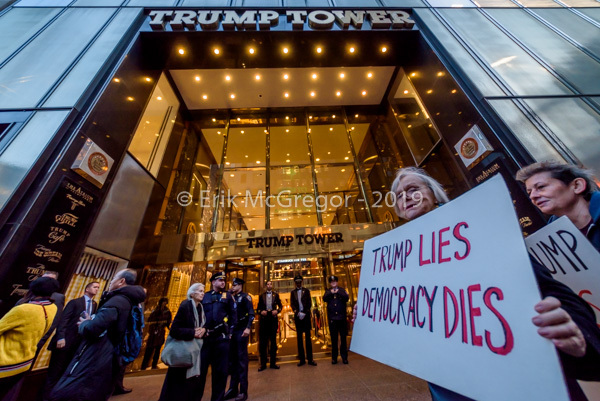 Trump has been credibly accused of multiple serious crimes, committed both before and after taking office. 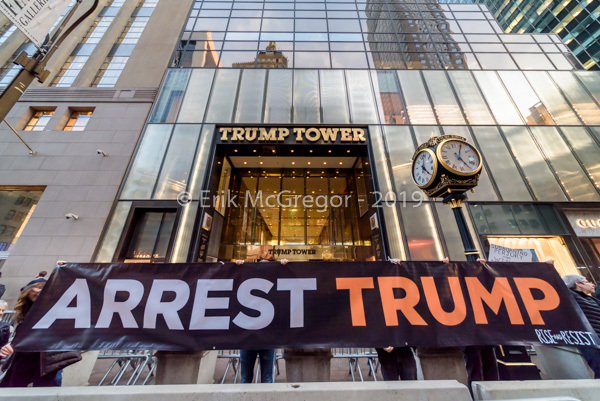 His reported crimes include tax evasion, money laundering, racketeering, campaign finance violations, obstruction of justice, sexual assault, conspiracy to defraud the United States, treason, witness tampering and suborning perjury. 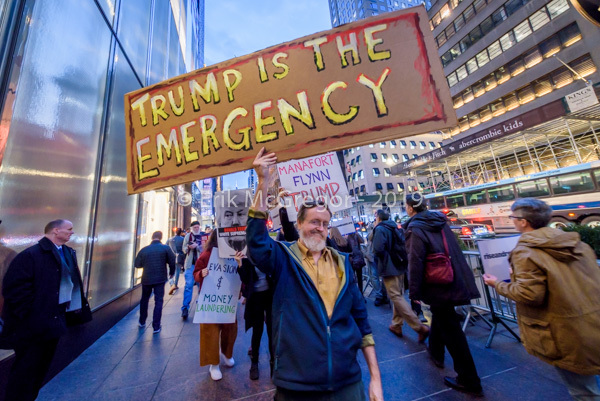 We are in a state of emergency, but the causes of it are Trump, his administration, and the politicians who are complicit with it. 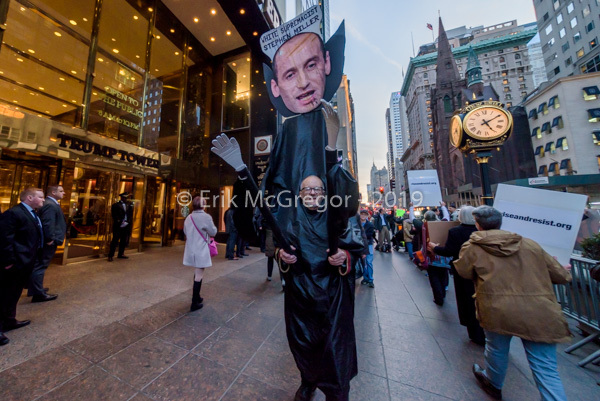 Silence is not an option. 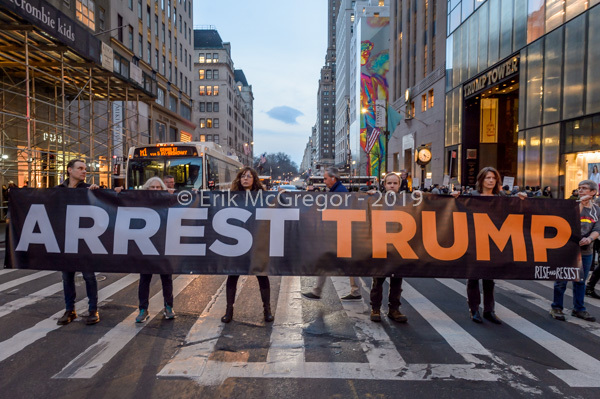 We will bring our “huge” ARREST TRUMP banner to 5th Avenue, and posters that highlight Trump’s crimes.